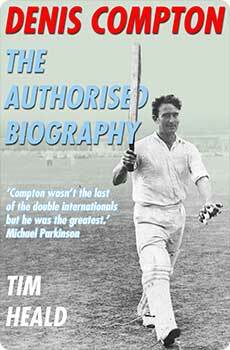 Denis Compton was one of England’s – indeed cricket’s – greatest batsmen. In the summer of 1947 alone he scored 18 hundreds. A flashing strokeplayer who could take any bowling attack apart, he also played football at the highest level, winning an FA Cup-winners medal with Arsenal. The original ‘Brylcreem Boy’, perhaps British sport’s first true media personality, Compton cut a dashing figure, and when he died was mourned as the kind of cricketer whose like we shall never see again.